This is just a reminder that we’re offering a 10% discount until the 1st of January 2016 on iKana, iKanji and NewsLife when you buy directly from us. 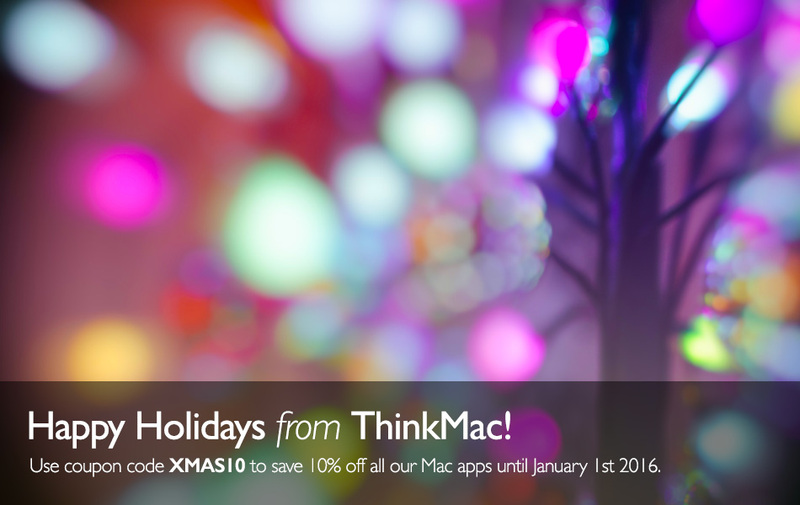 Just use coupon code XMAS10. Order securely through our FastSpring store using the payment method of your choice. This offer isn’t available on the Mac App Store as we want to reward customers who buy direct – you’ll also get faster access to updates and new versions. App Store reviews are infamous as a lousy one-way feedback mechanism to developers. Thankfully the majority of reviews I get are 4 and 5 star, but every now and then someone posts a 1 star bug report or makes accusations I can’t respond to. So for a bit of balance I’d like to address a few here. Well Disappointed Developer, I’m sorry if you’ve had trouble with iKanji touch. The correct place to report problems if you want them acted upon quickly is here. Why you’ve picked the 1.9.1 update to complain about IAPs that were added in version 1.7 I don’t know. You can read the rational behind adding them here. By your own admission you bought iKanji touch a long time ago, you can’t expect a lifetime of free updates to a piece of software, it’s simply not financial viable. If you’re a developer you should realise that or you’ll go out of business pretty quickly. We’re not all Googles or Apples, funded by venture capitalists or hoping to get bought up by FaceBook before the money runs out. If I don’t earn enough in sales from the App Store in a given month, I can’t pay my rent, it’s not that I’m a greedy mega corp trying to nickel and dime you. If you’re wondering why fully learnt kanji are reseting back to unlearnt then you’re probably not understanding the way the spaced repetition system works. Look at the help documentation within the app. It has been tested by native speakers – out of the thousands of people using iKanji touch you seem to be the only person who thinks it’s a scam with incorrect readings. The original source of the readings are Jim Breen’s WWWJDIC, a highly respected free kanji database and dictionary. 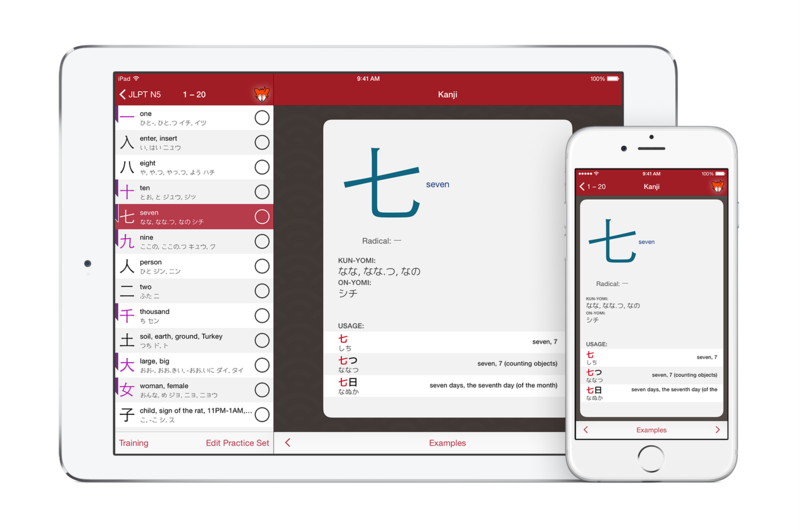 For clarity’s sake we only include jouyou readings in iKanji touch – that is the readings Japanese kids learn at school. There are many more of course, you could spend your life learning every one if that’s your thing, but the majority of people just want to know the basics and you can pick up other readings if they’re used even remotely commonly through everyday usage of the language (e.g people’s names, place names, literature etc). No £3 is a bargain. I’m sorry your expectation of software value has been so skewed that you think years of work isn’t even worth £3. If you read the app store description you’d also see none of the things you’re claiming are missing were ever indicated to be part of the app. Even the name ‘iKanji touch’ implies it’s primarily an app for learning kanji. NewsLife never attracts terribly positive reviews on the App Store which makes me sad, but it’s a pet project rather than a real money earner so I don’t let them get to me that much. When I went and created a Google Alert feed myself I found it added without a problem though. User error perhaps?